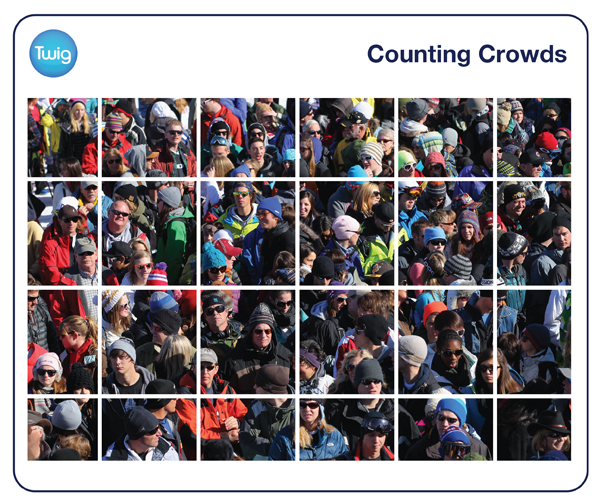 When measuring very large data sets, like the crowd of 1.8 million who attended Obama's inauguration, often exact counting is impossible. Find out how statisticians use density samples to estimate their statistics. In January 2009, an estimated 1.8 million people came to Washington DC to witness Barack Obama being sworn in as the 44th President of the United States. But who counted all these people, and how? 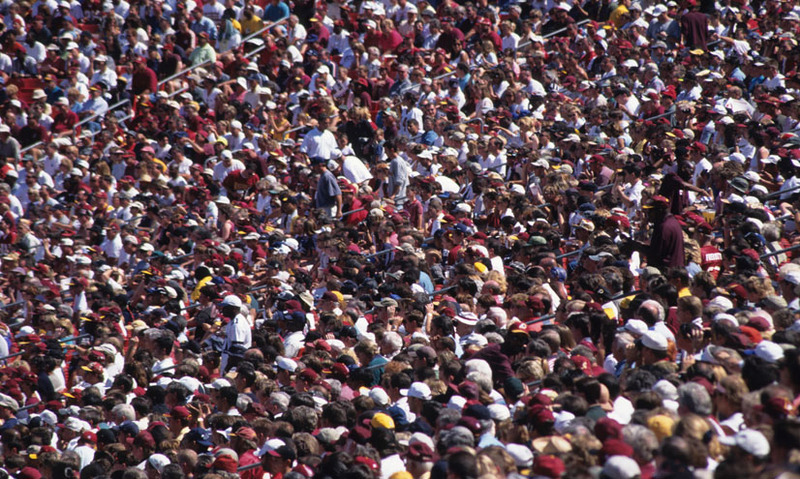 Counting large crowds exactly is practically impossible – it is time-consuming and difficult to manage. But statisticians have methods for creating estimates. For President Obama's inauguration, it was known that around 240,000 people had tickets that allowed access to specific areas. But counting those elsewhere, without tickets, was more challenging. Aerial photography and satellite images were used. The scene was divided up into regions, creating a grid-like pattern. Knowing the height that the pictures were taken from meant the size of the regions could be calculated. Each region was also given a 'density rating', according to how many people could fit in to the space. The number of people in each area is then found by dividing the size of the area by its density rating. This method was used to estimate the inauguration crowd in the Mall area, where most people gathered, and for the parade route and surrounding streets. These estimated figures were added to the number of guests with tickets. Together, they indicated a crowd of around 1.8 million people. But different sources gave different estimates – usually between 1.5 and 1.8 million. Proving that while estimates are a useful tool for statisticians, they are rarely exact. How Long is a Metre?